This mother and daughter pendant set is the perfect family necklace set to share with a mom and her children. This sterling silver mother daughter necklaces features two different parts. The left part is a shape of child and also engraved a loving message of "A mother's love is forever" on left heart that will take mom’s breath away. 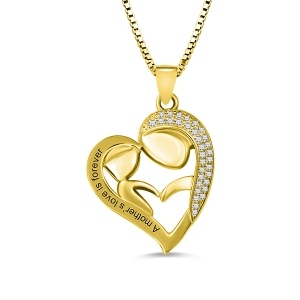 The right part is the shape of mother and also full stones on the right heart that express infinite love to mom. Mother and daughter necklaces is becoming popular, and this sterling silver version will become a favorite of yours overnight..The words remind her you're thinking of her always and honor everything she means to you tat it's a special gift she will keep forever. 1. The chain length mentioned at our website does not include the pendant. 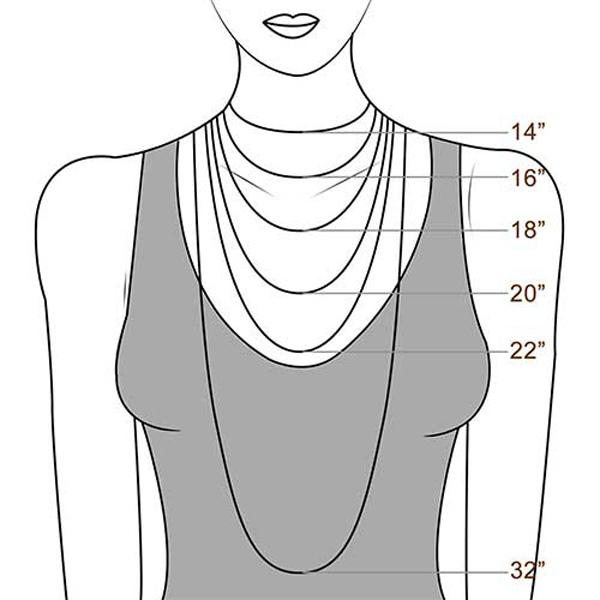 Click here to check the chain length guide.